The new year is almost here and most of us will commit to starting (or continuing) healthy habits such as eating more veggies, going to the gym, and so on. In my Santa Barbara cosmetic surgery practice I get a lot of inquiries about skin care and how to keep skin looking young and healthy. With New Year’s resolutions upon us, I thought this would be a great opportunity to suggest some skin care tips to incorporate into your list of resolutions. These skin care recommendations will help prevent accelerated aging and will encourage healthier skin in the coming year. One of the top causes of premature aging that leads to wrinkles, fine lines, and “sun spots” (hyperpigmentation) is the damage caused by UV rays. Use sunscreen daily – year round – with an SPF 30+ to help prevent sun damage. Reapply often if you are outdoors, sweating excessively, or swimming. Skin care products that promise you the moon usually don’t deliver. Do your research and buy your skin care products from a reputable place – such as a physician’s office or a medical spa. Physician-grade products contain higher quantities of potent ingredients that are often clinically proven to deliver results. As we age, cell turnover decreases and the “build up” of cells can leave your complexion dull. Exfoliate two times per week to encourage faster cell turnover. If you’re using a Clarisonic as part of your cleansing routine, that is great! Allow the brush head to dry after every use (patting it dry immediately after each use helps) and replace the brush head every 2 to 3 months. Make-up brushes can cause more harm than good if they are not washed regularly. Use a brush cleaner solution or mild baby shampoo and commit to cleaning your brushes weekly. Moisturizing hydrates and protects the skin. It also can improve tone and texture and can often mask imperfections. Moisturizing is good for all skin types even those with oily or acne-prone skin. For oily skin, choose a non-comedogenic and oil-free moisturizer. Commit to keeping your hands off your face. Dirty hands and nails can contaminate the skin you are working so hard to keep clear and clean. Consume lots of colorful vegetables and fruits. These are packed with antioxidants and will help your skin from the inside out. Fatty and greasy foods can upset the natural balance of your body and can cause your overall health – and your skin – to deteriorate. While you “rest”, so does your skin. Sleeping lowers your metabolic rate so you’re not producing as many skin damaging free radicals. It also gives your skin a chance to focus on skin repair (instead of protection, as it does when it is being exposed to the sun or environmental pollution during the day). One of the fastest ways to prematurely age you skin is through smoking. Nicotine causes narrowing of blood vessels and impairs blood flow to the outermost layers of the skin. Less blood flow means less nutrients and oxygen to your skin. The result is wrinkles and sagging of the skin. Before putting on make-up, take a close look at your skin and note any changes, discoloration, funny looking moles, or abnormal looking skin. Follow up with a dermatologist to further assess the condition. It’s a good idea to see a dermatologist annually for an overall skin check. 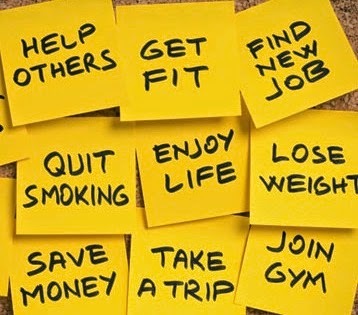 A New Year is the time to make changes and improvements. Following these skin care recommendations will give your skin the opportunity to be healthier and more youthful-looking in 2015 and years beyond. All of us at Cosmetic Surgery Center in Santa Barbara wish you (and your skin) a happy, healthy new year! Santa Barbara cosmetic surgeon, Dr. Terry J. Perkins, is the founder and Medical Director at Evolutions Medical Spa. He is directly involved in the operations at the facility, treats clients there a few days per week, trains new nurses and clinicians extensively, and provides on-going education and training to the staff about treatments and skin care. So when the opportunity arose to open up a day spa side to complement the medical spa services at Evolutions, Dr. Perkins, who also has an active Santa Barbara cosmetic surgery practice, was enthusiastic, despite his busy schedule. He felt that the addition of day spa services – such as massage, waxing, rejuvenating facials, and body treatments – would allow Evolutions to serve even more of the community as well as visitors of our beautiful city. The Day Spa business, which officially opened last month, came on the heels of the relocation of Evolutions Medical Spa to a larger location on Chapala and Gutierrez Streets in downtown Santa Barbara. Evolutions Day Spa is conveniently located next door to the medical spa and is accessible through the medical spa. The combined businesses offer 15 treatment rooms in a 6,000 square foot space and is known as Evolutions Medical and Day Spa. 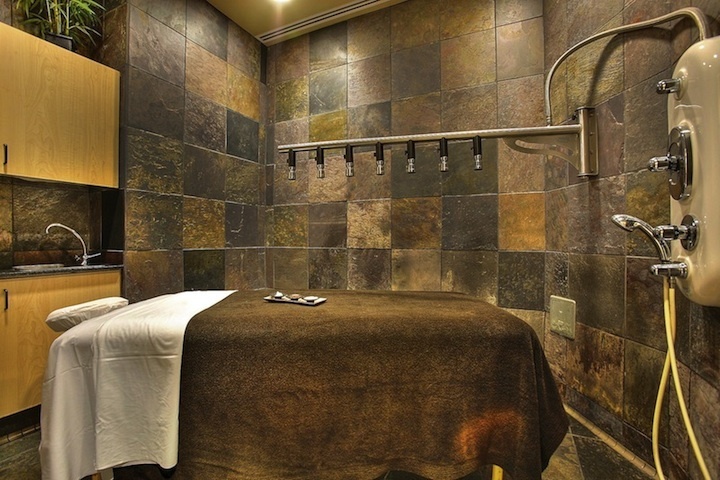 If you haven’t seen the new medical and day spa yet, it’s worth a trip (and a treatment!). 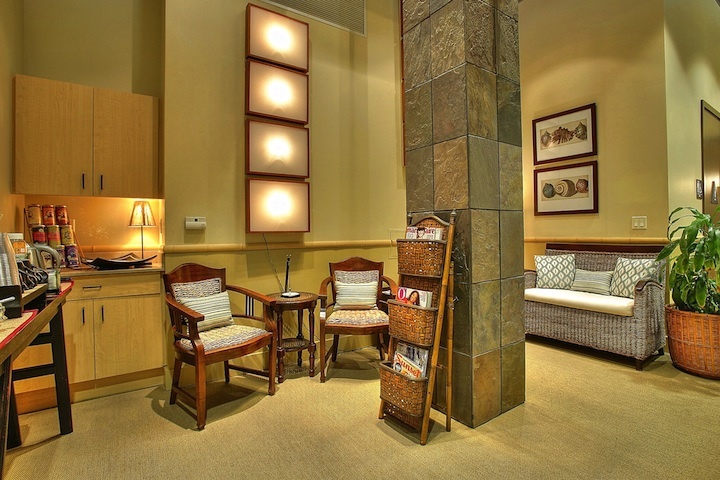 The medical spa side offers state-of-the art services in more spacious treatment rooms. Step into the adjacent day spa side and you will be enveloped in a serene atmosphere that relaxes your mind and soothes your soul. Guests who have scheduled appointments are invited to arrive early (or stay after their treatment) to enjoy a cup of tea in the tea lounge or use the dry eucalyptus saunas. Full shower and locker facilities are also available for men and women. The Day Spa menu offers something for everyone including Body Treatments – wraps and scrubs – that are exfoliating, hydrating, and blissful. The Vichy Shower treatment – seven treatment shower heads located over the treatment bed that jet soothing warm water is a wonderful complement to any of the body wraps and scrubs. Various types of Massage Treatments are also available in 60, 75, or 90 minute increments in private massage huts. There is an extra large room dedicated to Duet Massage where a couple, friends, or family members can receive massages next to each other. The Facials menu has expanded to include an organic facial and an age-defying oxygen facial that delivers a pure oxygen infusion to minimize fine lines, restore resiliency and suppleness. Waxing is also available for women and men. Evolutions is offering a Special Introductory Offer of 20% off all Day Spa services during the month of April 2013. Contact Evolutions Medical and Day Spa at 805-687-0212 to book your appointment today! Santa Barbara cosmetic surgeon Dr. Terry Perkins believes that an effective at-home skin care regimen is an essential part of maintaining younger-looking, beautiful skin. We hope that this home care skin regimen by Dr. Perkins will inspire you to renew (or start) your dedication to healthy skin. If you are a person who routinely has facials and does a chemical peel every few months, you are not exempt from participating in good skin care practices! Did you know that how you care for your skin at home can account for 50% of the end result? An effective at-home skin care strategy can both enhance the power of your facial / chemical peel / laser facial treatment and can prolong the results. Truly a “win-win” situation. The home care regimen that I recommend is not something I learned in medical school or from a beauty magazine. The idea came to me one piece at a time as I reflected upon what products the skin benefits from on an ongoing basis. As the founder of Evolutions Medical Spa, and being an active Medical Director there, I have had the benefit of being introduced to and studying many different medical-grade skin care products that have higher active ingredient levels and, thus, have a greater effect on the skin than products purchased at a department store. This is why I recommend using physician grade products for a notable result. Cleanser: use a cleanser that is suitable for your skin type; I recommend using the Clarisonic brush to give your skin a deep clean below the surface. Cleanse in the morning and evening. Hydration: hydrate your skin daily using a moisturizer that works with your skin type (dry, oily, combination). Keeping your skin hydrated will keep your skin plump for a fresh complexion. Moisturize once per day. Exfoliant: the use of an exfoliant helps to break down the dead cells on the outermost layer of the skin and promote cell turnover. Exfoliate your skin 2 times per week. Antioxidant: a high quality antioxidant cream helps to combat the signs of aging. Use 3 times per week. Retinoids: use of a topical retinoid cream (commonly known as the brand name, Retin-A) has been proven to be a great wrinkle fighter. Use 2 times per week. Sun protection: use sun protection on your face, neck, decolletage, and hands to ward off fine lines, wrinkles, and excessive pigmentation (age and “liver” spots). Sun protection should be used daily, year round and I recommend products that provide a “physical block” such as those that contain zinc oxide. Embarking on my home care regimen will enable you to have more control of your skin’s natural aging process. I hope that the above information persuades you to start, or re-dedicate, yourself to renewing your skin health in the years to come. CHEARS to healthy, glowing skin! With summer winding down, we’ve had a lot of our Santa Barbara Cosmetic Surgery Center clients inquiring about how to get rid of excess pigmentation (often referred to as sun spots, “liver” spots, or hyperpigmentation) that have resulted from sun overexposure and/or the fluctuation of hormones that happen as we age. Clients want to know how they can combat unwanted pigmentation on their own, using at home skin care products, and also how we can help them in the medical office. The good news is that there are lots of options! The better news is that you can learn about these options at the educational event, Brightening and Tightening, this Wednesday, September 26th, that is hosted by Evolutions Medical Spa, where Santa Barbara cosmetic surgeon Dr. Terry Perkins (the founder and Medical Director of Evolutions) will be speaking about skin rejuvenation options that are non-surgical and have a great success rate. The FotoFacial RF™ is one of the safest and most effective intense pulsed light (IPL)-based treatments for excessive pigmentation that is available today. Don’t mistake it for a “PhotoFacial” offered by other doctors’ offices because the FotoFacial RF™ is a trademarked procedure that was co-developed by a dermatologist (Dr. Patrick Bitter, Jr.) and a plastic surgeon (Dr. R. Stephen Mulholland) that brings together the best of aesthetic dermatologic skin care and cosmetic plastic surgery into one non-invasive treatment. Clients love the FotoFacial RF™ because many achieve a noticeable and consistent degree of improvement after completing a series. Obagi Medical Products are high quality medical products that are sold only to physicians. Obagi has multiple lines for many skin concerns such as acne and rosacea, but their signature Nu-Derm System is truly transformative. It is often advertised as “anti-aging” whereby it replaces old damaged skin cells (that cause premature aging) with healthy new cells and along the way it also corrects photodamage such as age spots, sallowness in the complexion, and discoloration (or hyperpigmentation). It is a system that takes dedication and time, but the end result is all worth it! Sometimes clients like to start small before diving into a bigger commitment such as a FotoFacial series or the Obagi Nu-Derm system and they ask Dr. Perkins what he recommends. In this case, Dr. Perkins’ number one recommendation is to stay out of the sun and use sun protection year round, and his next recommendation, for those seeking some reprieve from sun damage or pigmentation issues, is consistent use of an AFA Exfoliating Gel. The AFA Exfoliating Gel is powered by acidified amino acid and is good for treating sun damaged skin, overly pigmented skin, and acne-prone skin. 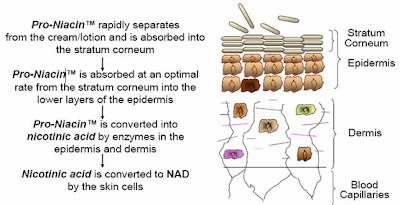 It stimulates new cell growth, which makes skin appear “younger”, by removing the outer layer of dead cells while restoring the natural moisture-retaining amino acid system of the epidermis. AFA’s break down to monocanic acid, a natural UV filter, that helps the skin better protect itself from harmful UV light. To top it off, AFA gel provides a stable antioxidation to establish a healthy skin environment. AFA Exfoliating Gel comes in different strengths, making it suitable for all skin types and does not cause a great amount of dryness (if any) or irritation that can be associated with other exfoliating products. Use it daily, or three to five times per week, on freshly cleansed skin (underneath your sunscreen or make up) depending on your skin. Being on an AFA Exfoliating Gel will provide your skin with the immediate benefits of fresher, healthier skin cells and is also be a great way to prep the skin for more aggressive treatments such as the FotoFacial RF™. The FotoFacial RF™, Obagi skin care products, and AFA Exfoliating Gel products are all available at Evolutions Medical Spa in Santa Barbara. If you would like to attend the educational event at Evolutions Medical Spa on Wednesday, September 26th, please call Evolutions at 805-687-0212 to reserve your seat today. There is no charge to attend the event. Light refreshments, a raffle, and promotional pricing will be available to all attendees. Dr. Terry Perkins answers questions from clients about cosmetic surgery procedures and skin care. If you have a question for Dr. Perkins, please email him with “Ask the Cosmetic Surgeon” in the subject line. A: Hi Theresa, you have posed a great question. I agree that there has been a lot of press about vitamin B products lately. Vitamin B in skin care products is often referred to as niacin and that specifically refers to B3. 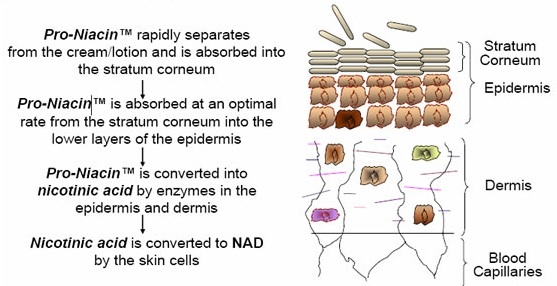 To answer your question, yes, niacin does have the potential to rejuvenate your skin but there is a caveat. Most of the products on the market, that are not medical grade, probably do not contain enough vitamin B to be effective in changing your skin. In my opinion, the best niacin skin care products on the market today are NIA24. These products contain a patented molecule called Pro-Niacin that penetrates the skin to deliver niacin directly to the cells, energizing them and encouraging normal cell turnover. It also protects and repairs the DNA in the skin cells that became de-normalized due to aging and UV sun damage. Also, Pro-niacin stimulates the release of the hormone leptin, a natural repair hormone, that improves skin tensile strength. NIA24 is good for sun-damaged, rosacea, hyper-pigmented, and allergic skin. It is fragrance, color-free, dye-free, and non-comedogenic. While we carry select NIA24 products at Cosmetic Surgery Center, Evolutions Medical Spa Santa Barbara has a more robust selection. Call them at 805-687-0212 or visit them downtown to purchase your NIA24 products. Santa Barbara cosmetic surgeon Dr. Terry Perkins has always made education a priority for himself and his patients. Throughout his practice, Dr. Perkins is continuously researching and implementing the latest surgical techniques and using the most advanced technology. Along the same lines, he believes in educating his patients so that they feel comfortable and confident in their decision to have plastic surgery and/or non-invasive treatments like Botox or fillers. During a cosmetic surgery consultation with Dr. Perkins he will ask you what your main concerns are. Dr. Perkins will then offer his opinion about what may best correct the issue. He firmly believes that there is always more than one way to solve a problem, so he will most likely offer a few options and will help you make an educated decision on what would give you the best result. Dr. Perkins may also offer solutions that extend beyond the operating room. As the founder and Medical Director of a Santa Barbara medical spa, Evolutions, Dr. Perkins may refer a patient to Evolutions for pre-operative care to prepare the skin for surgery and post-operative care to help expedite the healing process. Dr. Perkins is a specialist in facial rejuvenation cosmetic surgery such as facelifts, rhinoplasty nasal surgery, forehead lifts, eye lift surgery and more. He also specializes in body sculpting through liposuction and was the first specialist in the Santa Barbara-Ventura area to offer the liposuction surgical procedure. Schedule a cosmetic surgery consultation with Dr. Perkins by calling 805-563-0000. Santa Barbara cosmetic surgeon Dr. Terry Perkins has formulated a unique protocol that utilizes the top two technologies in skin tightening – without surgery – to effectively tone, tighten and lift your skin! Are you thinking that you would like to know more . . . see before-and-after pictures or that you have questions for Dr. Perkins about anti-aging treatments? On October 26th you will have the opportunity to address all of the above! Mark your calendars for a special evening dedicated to Tightening and Lightening at Evolutions Medical Spa with Dr. Perkins on Wednesday, October 26th, from 6:30 pm to 8:30 pm. Dr. Perkins’ Total Tightening: a treatment that utilizes the ReFirme and Titan technologies to achieve the maximum result. The FotoFacial RF: a great treatment that significantly improves brightness and luminescence of the skin while removing unwanted pigmentation. Sublative Rejuvenation: one of the most popular fraction skin resurfacing treatments that improves fine lines, pigmentation issues and acne scarring. SpaWhite Express Teeth Whitening: remove stains and whiten several shades in under 30 minutes. Attendees will be able to purchase these treatments at special promotion pricing! We also will have a raffle, refreshments and other exclusive specials. RSVP to Evolutions Medical Spa at 805.687.0212. If you are looking for a quicker way to reduce skin pigmentation, Elure Advanced Skin Lightening therapy is the answer for you! Clinical studies showed that 82% of subjects demonstrated a significant decrease in their melanin and 91% of subjects showed an overall improvement in fairness and skin tone in just 28 days (when used twice a day)! This is much quicker than other methods of skin lightening available on the market today. Elure is a topical cosmetic only available from a physician’s office that reduces dark-colored pigment (sun damage, liver spots, hyperpigmentation) on your skin. Elure’s patented natural enzyme, Melanzyme™, destroys the melanin accumulating on the skin’s surface. How is Elure different than other lightening products (such as hydroquinone)? Other lightening products address dark spots by blocking the production of melanin deep within the skin, eventually causing the discoloration to fade over time (which can take many months). Elure targets the melanin that has already accumulated and breaks it down. What Elure products are available? Advanced Skin Lightening Lotion: a rebalancing lotion to brighten, soften, soothe and replenish the skin. Advance Lightening Night Cream: a recovery hydration complex for a brighter, softer tone. Foaming Facial Wash: use Elure’s Advanced Skin Lightening Technology in combination with the Advanced Facial Wash to remove dirt and dead skin debris for a radiant skin appearance. Have you heard the buzz on Elure? 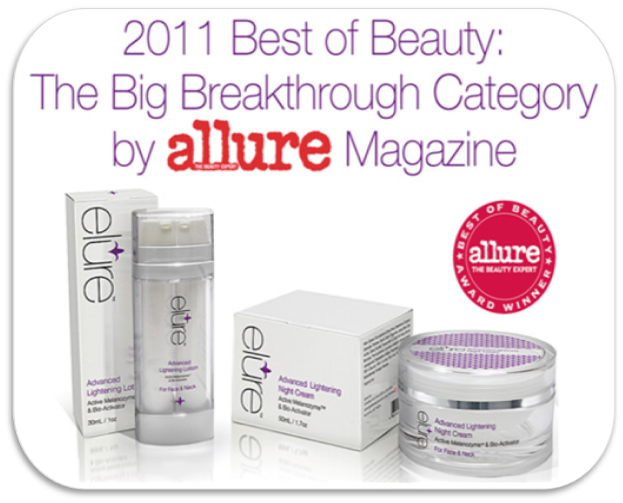 Featured in Allure magazine as “Top New Product of the Year”. Featured on the Today Show with Hoda and Kathy Lee as a “real game changer”. Where can I buy Elure in Santa Barbara? Elure is only available in Santa Barbara at Evolutions Medical Spa located at 1309 State Street, on the same block as the historic Arlington Theater. Contact Evolutions at 805.687.0212.